Flight tracker apps are great for checking the status of your flight, but what about the sheer stress you encounter before you actually get on the plane? Yes, we’re talking about the summer travel season and all the recent news stories about horrific waits in security lines. Things seem to have gotten slightly better with the lines, but still. 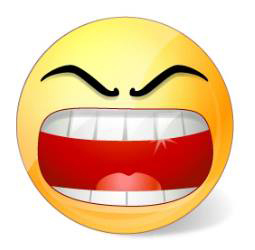 You may not be able to avoid that annoyance, but you can at least plan for it. If you’re getting ready to take to the skies for your summer vacation, we here at Pop Tech Jam HQ have a few app suggestions. For starters, you have to get to the airport first. Salk International’s $5 Airport Transit Guide for Android and iOS offers insider travel information for 460 airports around the world for helping you get to the airport on time. 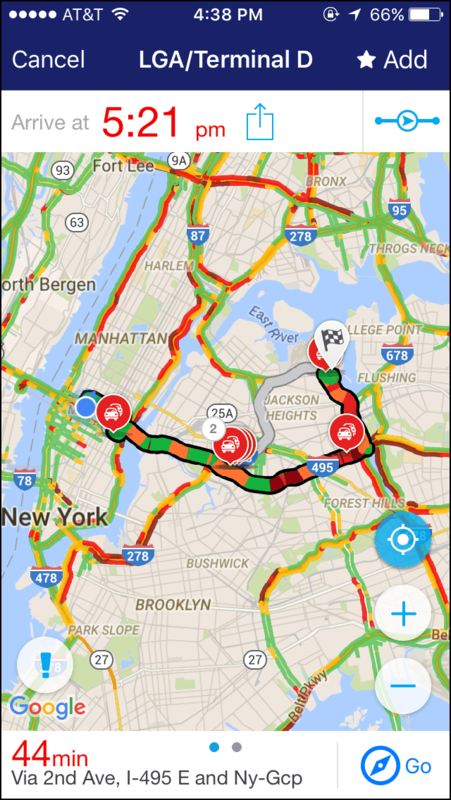 If you’re traveling domestically, traffic apps like Inrix Traffic (left) and Waze, both for Android and iOS, are among the dedicated road travel apps that tell you how long it will take to get to your destination — if you don’t want to use the services offered by Google Maps or Apple Maps. The WhatsBusy site, which is devoted to when there are lines in public places, has a section devoted to airports. You can help speed some of the process by checking in early for your flight online through your carrier’s own app or website. If you do, you can leave pre-checked luggage at the Bag Drop station and move on to the joy of the security line. Although the Transportation Security Administration has been pummeled in the press for being a large part of the recent problem, its digital offerings may help travelers prepare themselves for the screening experience in a few of ways. 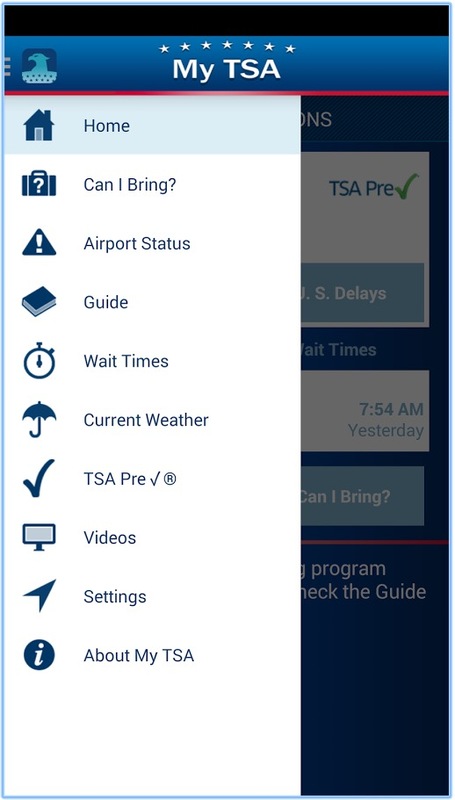 The My TSA mobile website provides answers about what you can bring through airport security checkpoints so you’re not the cause of a snarled and snarly line; an Android app version of My TSA is available, as well as a version for iOS. The TSA site/app also has a list of current security line wait-times, and an indicator if the airport has a TSA Pre-✓ expedited line. (Pre-✓ = Pre-Check. Get it?) You can sign up for TSA Pre-✓ or one of the government’s other Trusted Traveler programs over at the Department of Homeland Security’s site, although registration includes you providing an $85 and your fingerprints. If you like guv’ment apps, the Federal Aviation Administration has its own mobile website with airport status and delays related to conditions outside the terminal. Newer apps like MiFlight for iOS are also designed to give you an idea of the wait times you’re in for once you hit the security line. MiFlight has nifty graphics and makes use of crowd-sourced data, but owners of some iPhone models have posted one-star reviews complaining of app crashes. Several developers make TSA and airport-related programs, so check the app store dedicated to your mobile platform to see the selection. Once you make it through the security gauntlet, you might have some time to kill thanks to your careful planning. The GateGuru app for Android, iOS and Windows Phone might help here. Although GateGuru can function as an itinerary-tracking app while you travel, its Airport Card screens provide detailed information, maps and tips for the airports you’re in. iFly Airport Guide for Android and iOS is another airport terminal guide with status updates. There’s a free and a pro version, depending on your whims and needs. The company also makes a TSA Wait Times by iFly app, which is $4 for iOS. Certain airports may have their own terminal guides as well, so check your app store before you go. Once you get checked in, arrive at the airport and get through the security line, you can fire up your flight tracker app and check your plane’s status. And remember, if you’re dissatisfied with your recent travel experience, the US Department of Transportation has a webform where you can file complaints against the airlines for safety and security reasons, along with customer service issues. It may not do any good, but you can also inform your airline’s customer-service department of your displeasure. You can find the Consumer Complaint Letter Wizard and a sample complaint letter to use as a template over at USA.gov, because if you’re going to gripe, you may as well do it officially.